Marguerite Dixen first got involved with Chicago Debates in 2015 through a crowdfunding campaign to support the Chicago Debate Summer Institute. She had debated in high school and college and knew how valuable debate was to her success as a woman in the male-dominated world of insurance she entered in 1989. She quickly got more involved, wanting to give back to the community and ensure other kids got the same opportunities she had. By 2016, she had joined our Board of Directors. In 2017 she co-chaired our annual luncheon. More than anything, Marguerite understands how our debate program creates a pipeline for diverse and talented students who often go on to become leaders in the corporate world. In order to tap into that pipeline, Marguerite has instituted three corporate practices. First, her company, Third Coast Underwriters, sponsors two tournaments a year. Beyond giving kids more opportunities to compete, the tournament sponsorships provide Marguerite an opportunity to engage large groups of students and share with them the exciting career opportunities available in her insurance world. 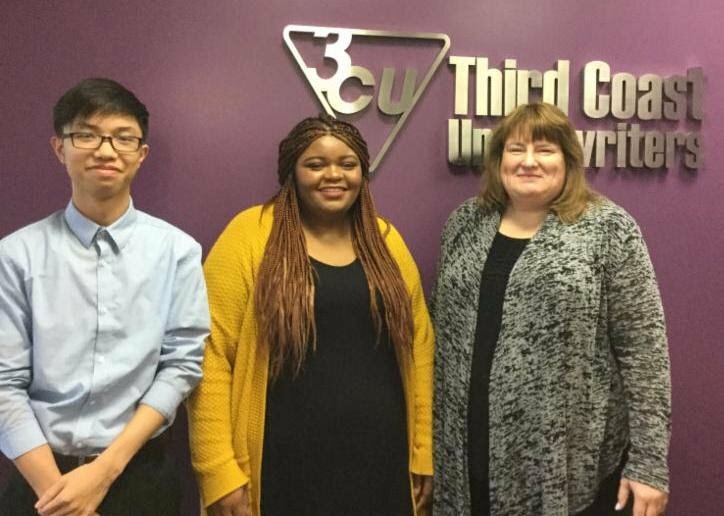 Second, she has created an esteemed summer internship at her company where two Chicago debate alums now in college are selected from a pool of applicants. The students spend the summer learning skills that make them job ready, while Marguerite develops a talent pool she can hire from in the future. Third, Marguerite has included Chicago Debates among the organizations that her employees can support through a charitable payroll deduction program and she’s provided opportunities for employees to get involved in our work and spread the word about the insurance industry with our students. Marguerite is not the only corporate leader who sees the advantages of supporting debate. Third Coast joins companies like Allstate, Citigroup, Mayer Brown, Performance Trust, McDermott, Will & Emery, and Swanson, Martin and Bell who all sponsor debate tournaments throughout the year, not to mention the many other companies who support debate through team sponsorships, grants or our fundraising luncheon. If you are interested in joining Marguerite and our corporate partners in sponsoring debate, contact Willa Voss to learn more.